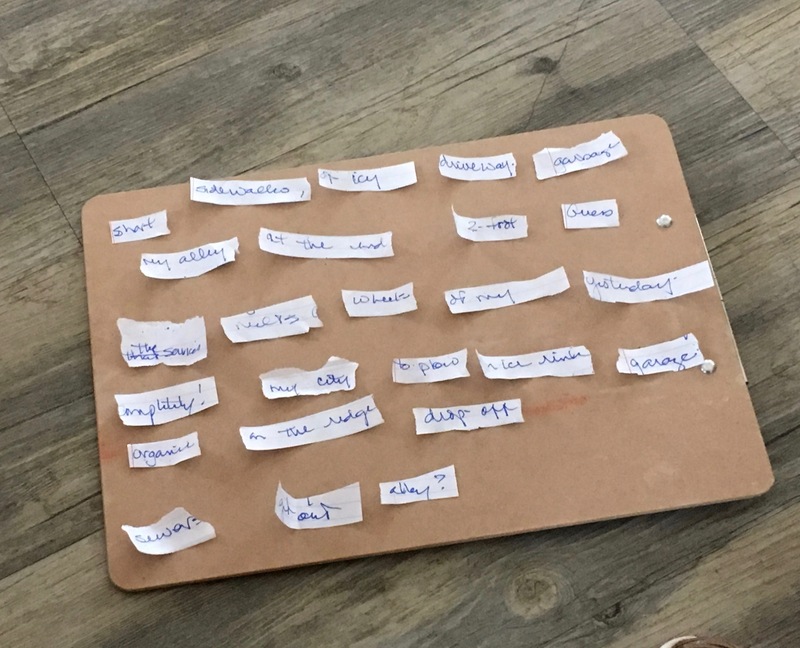 Erasure poem from Layli Long Soldier’s workshop. Thanks for visiting! The 2019-20 season writers and their bios will be on this page soon. The Good Thunder Reading Series’ mission is to promote literature, inspire creativity, and foster lively conversations about why writing matters. We bring acclaimed writers from diverse backgrounds and literary traditions to Mankato, Minnesota. During their visit, each leads a morning workshop, presents an afternoon talk, and gives an evening reading followed by a book signing. You can find out more about our upcoming events and community programming by exploring the menu above. Additional support comes from the Minnesota State University, Mankato Department of English, College of Arts and Humanities, Office of Institutional Diversity, Women's Center, Nadine B. Andreas Endowment, Eddice B. Barber Visiting Writer Endowment, Robert C. Wright Endowment, and individual donors. Barnes & Noble Bookstore at Minnesota State provides additional assistance. Good Thunder's acclaimed writers-in-residence inspire creativity and foster lively discussions about why writing matters. Support has ranged from $10 to $500. Everything helps!